I was addicted to this growing up. It went on everything. I would soak white bread with it and let it melt in my mouth. The “flavourings” are believed to include soy sauce, lemons, pickles and peppers. 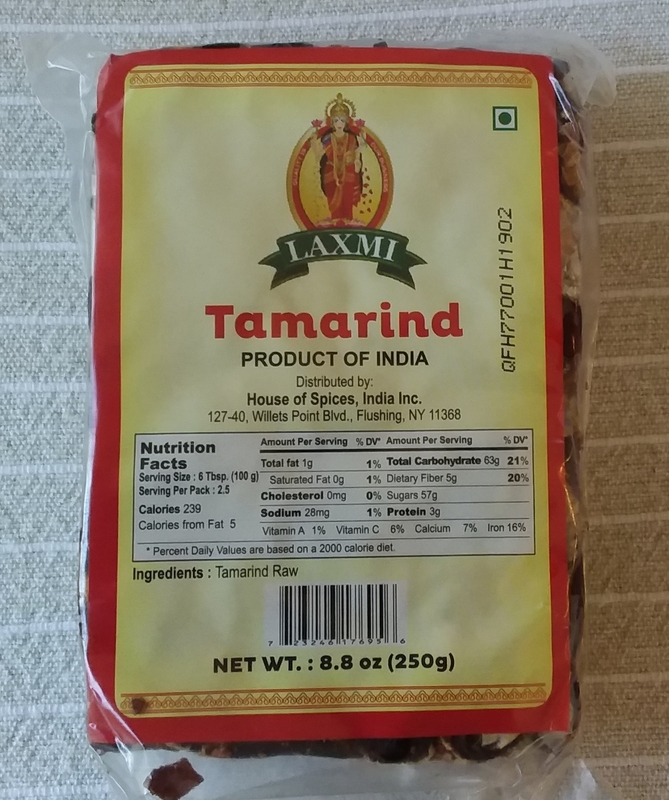 Tamarind was the only ingredient I couldn’t replicate somehow. And I’m totally unfamiliar with it. 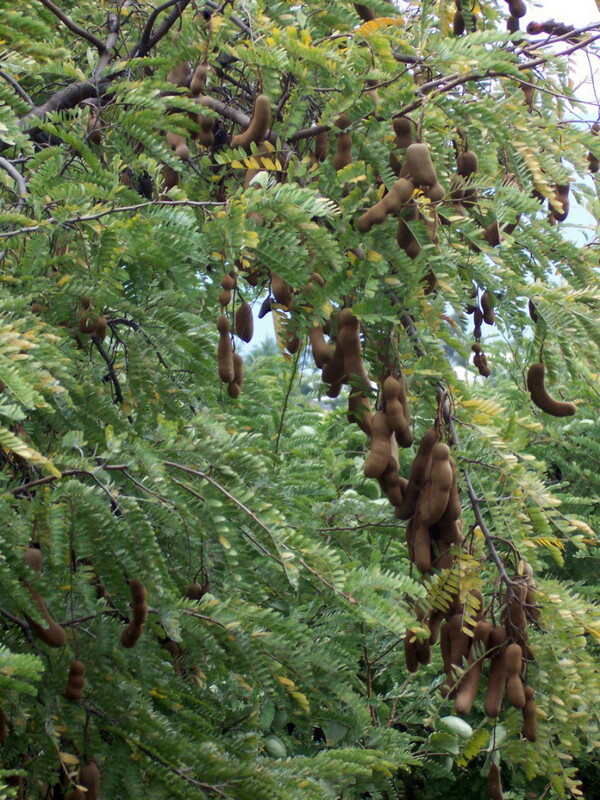 Wikipedia says tamarind is a leguminous tree, indigenous to tropical Africa. It produces a pod-like fruit. Here’s the tree with its pods. They do look like beans, don’t they. Here’s the fleshy interior of a pod. I can now tell you it tastes nothing like it looks … it’s sweet, sour, and citrusy. Nothing like the beans or legumes I’m used to. Source: The Latin Kitchen, which also gives instructions on how to prepare it. Very useful. 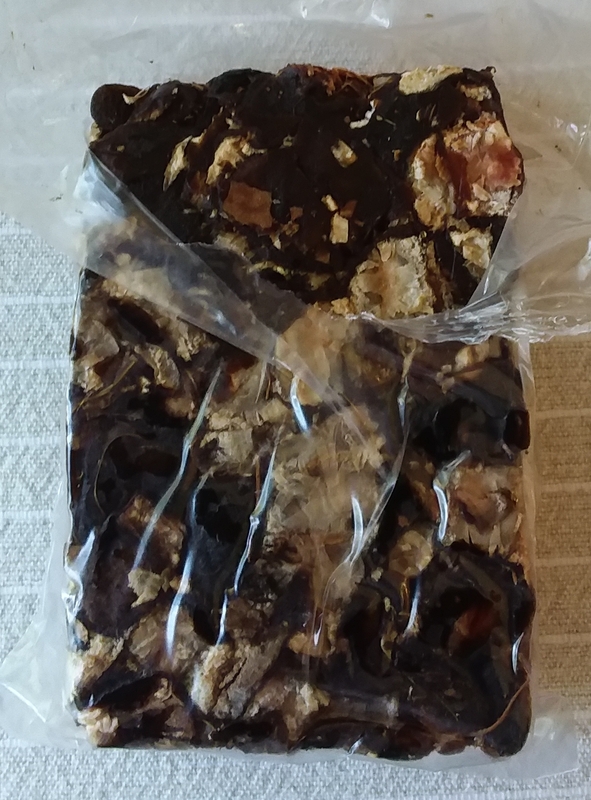 Following The Latin Kitchen’s advice, I soaked a chunk of it in water overnight, squeezed the pulp through a strainer, and added it to my baked beans, along with most of the other Worcestershire sauce ingredients. This entry was posted in Uncategorized on October 18, 2017 by Bix. If you live in a city, try your local Hispanic grocer. 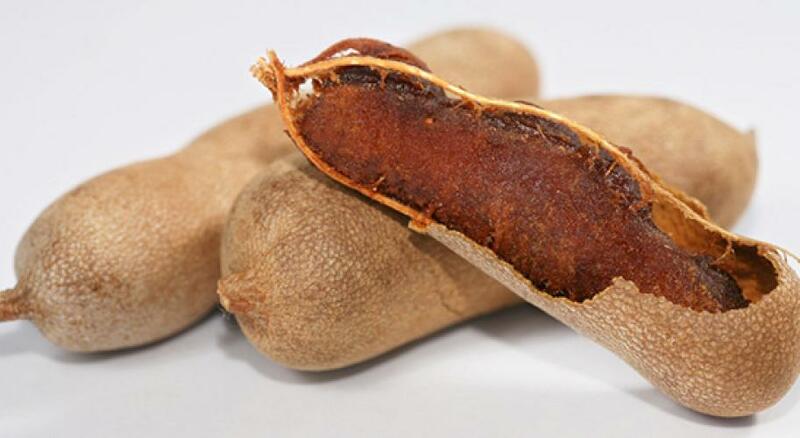 Tamarind is heavily used in latin cuisine.